There’s more to shipping than the physical act of packing, labeling and shipping your mail. There are records that you have to keep, packages to track as they wend their way across the country or globe, and problems to watch out for. Most of these chores are taken care of for you in the Stamps.com software package. Find and Track Shipments: Every postage print is recorded by Stamps.com, making it easy for you to find shipments in case a customer calls about their package. Further, all domestic and most international services include a tracking number from the USPS. Finding a package takes seconds, and you’ll have all the info you need to tell your customers when it shipped and when to expect it, and in most cases even where it currently is in the shipping process! Refund Postage Misprints: Accidents happen – the wrong postage was printed or your printer may have malfunctioned. 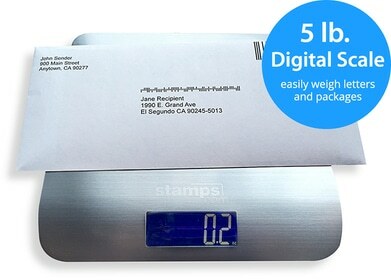 With Stamps.com, this doesn’t mean you have to write that postage off as a loss – which, with some packages, might be a substantial amount. Our tool allows you to submit postage refund claims online. Schedule Carrier Pickup: When you don’t have time to drop your packages off at the post office, you can schedule FREE Carrier Pickup right from the Stamps.com software with just a few clicks of the mouse, saving you the time and frustration of going through the USPS phone system or website. File Insurance Claims: In the rare case that the unthinkable happens and you need to file a claim on your insured package, you can file for your Stamps.com insured packages with just a single click. Track Costs and Expenses: The software keeps reports compiled of all postage and insurance purchases, and also keeps a detailed breakdown of Cost Code usage, all of which is easily exported into either text or CSV (comma-separated value) format for easy importation into nearly any spreadsheet program. When shipping, rest assured that all the info and options necessary to you lay at your fingertips when using Stamps.com. No more searching through files of receipts or claims forms. Another example of the efficiency, economy and service that you’ll receive as a customer with Stamps.com!